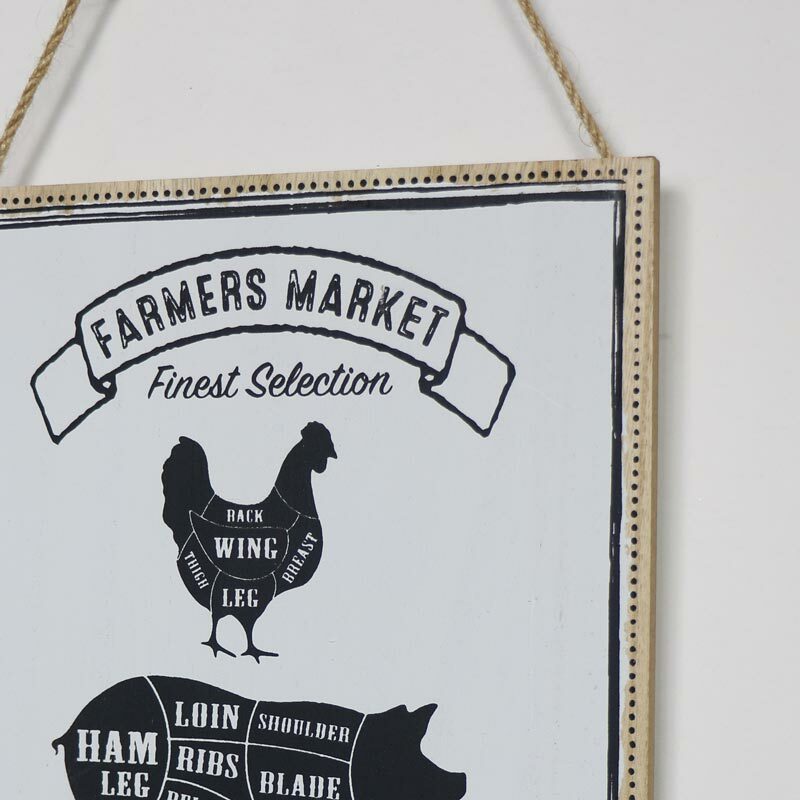 Make sure you get the best of the butcher's cut with the great little wall plaque. 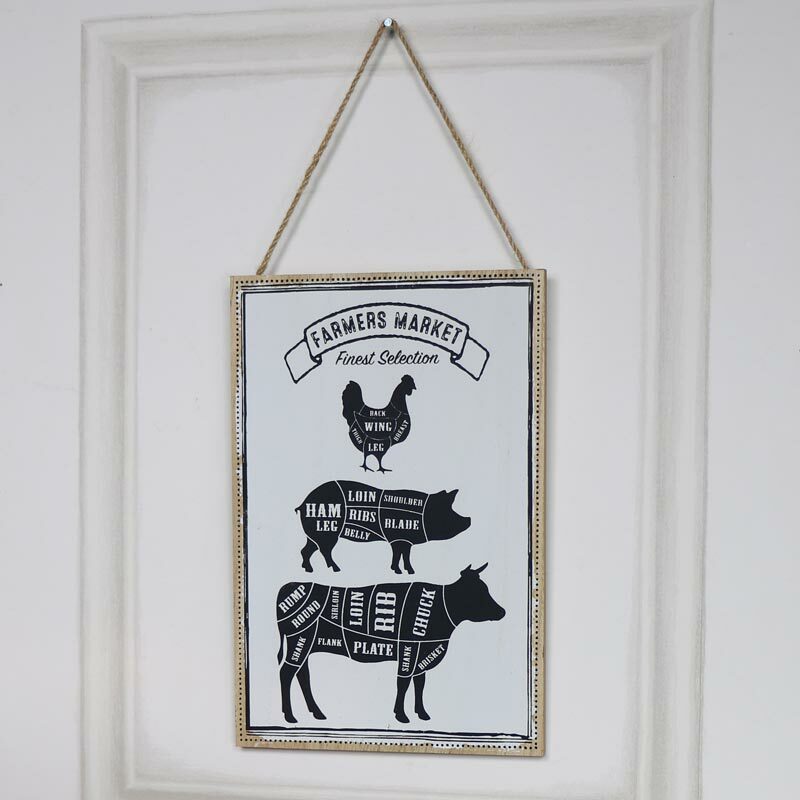 Perfect for hanging in your kitchen to add that country cottage, farmhouse feel. This plaque details the different cuts in chicken, pork and beef, just be careful, it might make you hungry! Rectangular wooden plaque with black printed silhouettes on a black backgorund. Easily wall mounted with a string on the back. Part of our fantastic range of plaques and signs. A great way to express yourself or add that finishing feature to a wall.